Last night I attended the launch of Bua na Cainte in Dublin. The main reason I decided to go was to see some new products and the offer of a free EDCO Teacher Planner was an added bonus. I was so impressed by Bua na Cainte. Before the presentation, I looked at the teachers book and childrens books. This book is laid out thematically so each theme is covered as a whole unit. The plans are all done out and all resources are provided which means you won’t need to go and source additional songs or poems or stories. The children are introduced to the characters- Niamh Oisín teidí and moncaí. Above you can see the theme page. 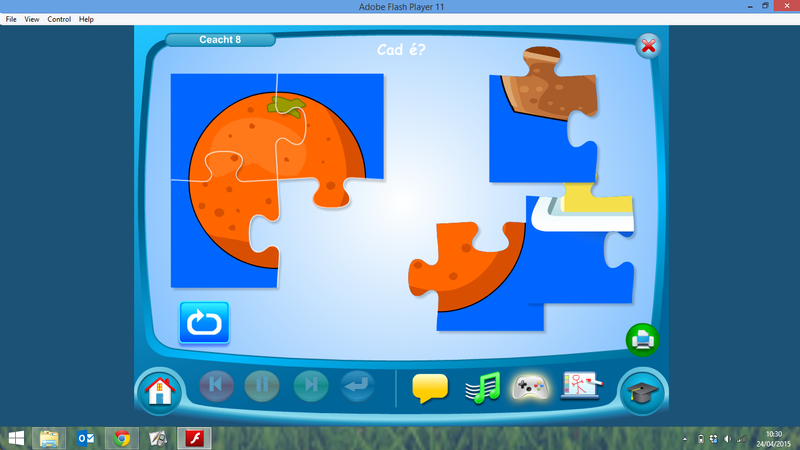 Once you click on a theme, there is at least 4 lessons. 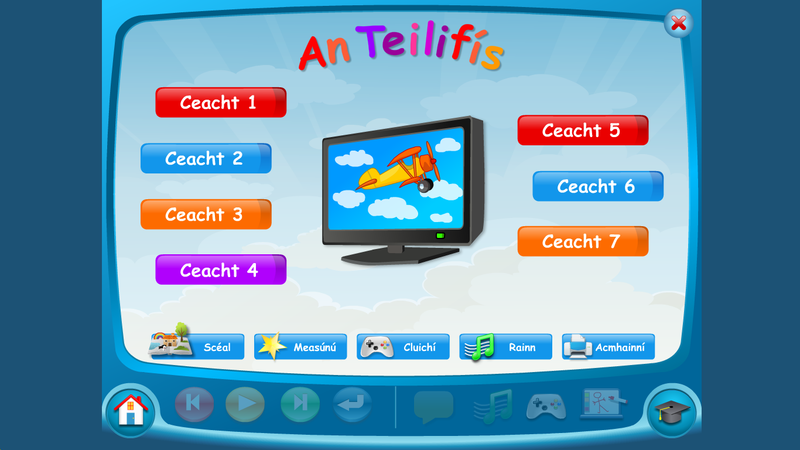 There are additional tabs at the bottom – scéal, measúnú, cluichí, rainn, acmhainní. Scéal – these are big book stories. 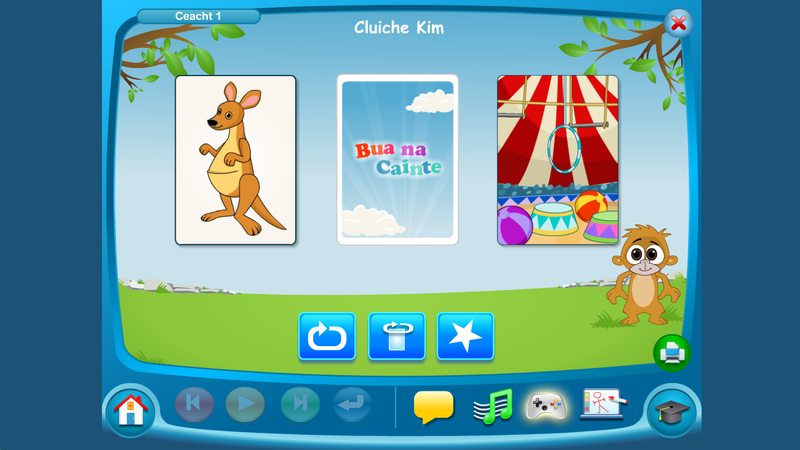 Cluichí – digital versions of Cluiche Kim, Cad é etc. Rainn – a selection of poems and songs. A junior infant teacher who has been using the programme since September gave a first hand account of how it works in her classroom. She said that the children love it and cheer when they hear the start up music. 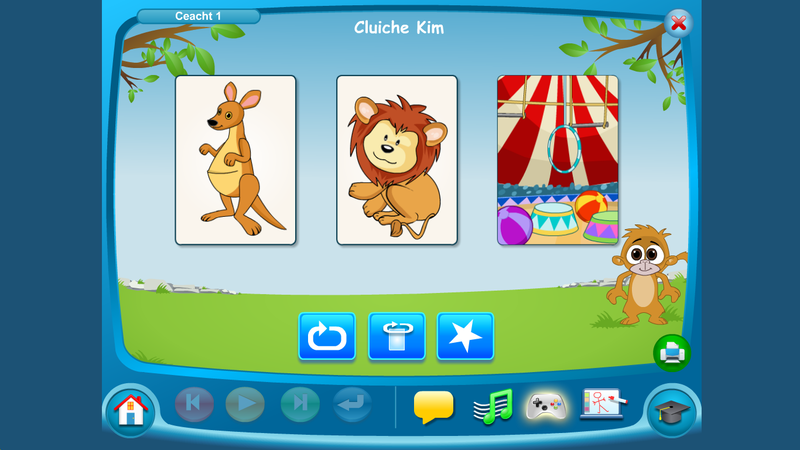 Children are extremely enthusiastic and love the characters who they think of as friends. You can find further information on the edco website! 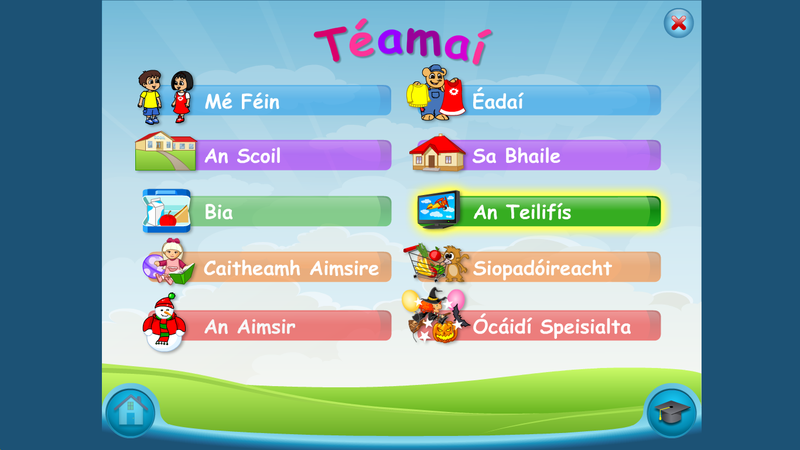 The Programme was developed by Sean de Brún and Martina Ní Fhátharta who are lecturers in Mary Immaculate College.